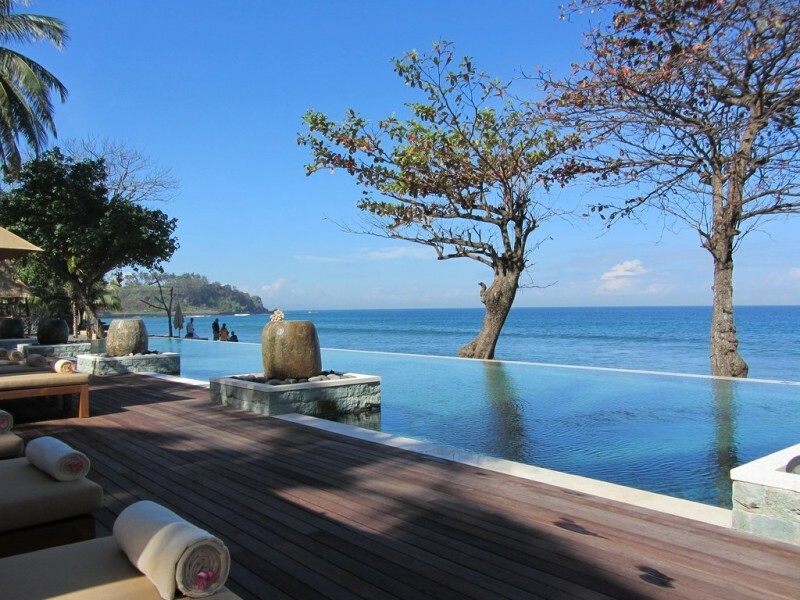 Qunci Villas is the Boutique Hotel of Lombok. Since opening in July 2003, the hotel has attracted many satisifed guests from around the world by offering a great hideaway in an affordable, stylish environment. Qunci, which means “Key” in English, is “Your Key to an Idyllic Lombok” and our staff at Qunci strives to ensure that all of our guests leave the island feeling that, indeed, Lombok is their idyllic holiday location. Only a five minute drive north from Lombok’s most popular tourist area, “Senggigi Beach”, and thirty minutes from Selaparang Airp ort, Qunci Villas is nestled on the beautiful Mangsit beach offering guests a setting of unspoilt natural beauty and tranquility.